Thank you to the family members for images and information. Born: 16th March 1883, Castle Street, Woodbridge, Suffolk. 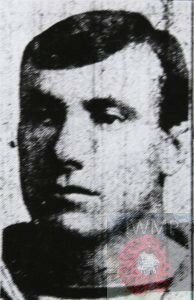 Died: 31st January 1918; age 34; Drowned through collision in North Sea. Signed up: 20th June 1904 for 12 years. Height: 5ft 10 ins, browm hair & hazel eyes. 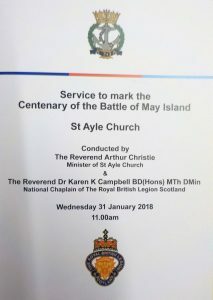 Regiment: Royal Navy, H.M. Submarine, ‘K.4’. Medals Awarded: Victory, British War & Star + Distinguished Service Medal. Relatives Notified & Address: Son of William & Harriett Adams, of Woodbridge, Suffolk; husband of Constance E. Adams, of 25, Union Street, St. Michael’s, Ipswich. 1891 60, Bramford Road, Ipswich. Percy was 8 years old and living with his parents & siblings. William Adams, 36, a Portmanteau Maker, born Bletchingley, Surrey. Harriet Adams (nee Rumsey), 36, born Woodbridge, Suffolk. William Alfred Adams, 10, born Woodbridge. Margaret Harriet Adams, 5, born Woodbridge. Albert Edward Adams, 3, born Woodbridge. Agnes Elizabeth Adams, 1, born Woodbridge. 1901 60, Bramford Road, Ipswich. Percy was 18 years old, a Blacksmith Labourer. He was living with his parents & siblings. William, 46, a Portmanteau Maker. Thomas Arthur Adams, 7, born Ipswich. 1911 Lying at Saltash Tros, Devonport, Devonshire. 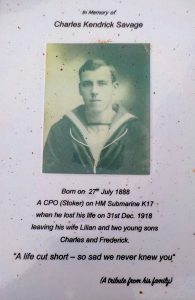 Percy was 28 years old, married, and a Stoker 1st Class, Royal Navy. On board Torpedo Boat No 34, Torpedo Boat First Class, 3rd Destroyer Flotilla. Percy’s wife, Constance was living with her widowed mother Jane Cocker at home – 8, Union Street, Ipswich. Phyllis Adams, 8 months old. Phyllis C.E. Adams, born 1910, Ipswich. Percy is also remembered on St. Michael’s Church War Memorial, Ipswich. Percy Walter Adams was born in Castle Street Woodbridge Suffolk on 16th March 1883 to William and Harriet Adams. He was one of six children. He moved to Bramford Road in Ipswich before he was 18 and became a Blacksmith’s labourer. He enlisted in The Royal Navy on 20th June 1904, initially for 12 years service. Percy’s service records state that he was 5 feet 10 inches tall with brown hair and hazel coloured eyes and that he had scars on his right forearm and in his left groin. On 27th December 1909 he married Constance Elizabeth Cocker at the Parish Church of St Michael, Ipswich. They lived in Union Street, Ipswich where they had 2 children, Phyllis and Percival. Before the war, In the 1911 Census, he was on Torpedo boat No 34 at Saltash Devonport as a Stoker 1st class. His wife and 8 month old daughter were living back home in Union Street, Ipswich. His Naval record documents “Good Character” and “Good Conduct” throughout his career. Percy took part in submarine warfare in the Dardanelles Campaign of the First World War. British and French forces launched a fierce naval attack on Turkish forces hoping to take control of the strategically vital strait separating Europe from Asia. In 1915. Percy was serving on HM Submarine E2, under the command of Lieutenant Commander David de Beauvoir Stocks. E2 was sent to relieve HM Submarine E14, but on her way to the Dardanelles she became badly entangled in anti submarine nets, with a three and a half inch wire around the deck gun and conning tower. The crew desperately tried to dive to free the submarine but they came under heavy fire from the Turks using depth-bombs, which caused significant damage to the hull of the submarine. 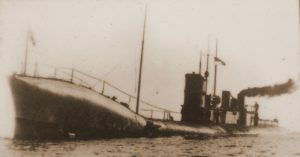 They managed to escape and continued on to make the planned rendezvous with HM Submarine E11 and to resupply her with ammunition. The crew worked hard to repair their damaged boat and E2 again launched into action, successfully attacking enemy coastal steamers and dhows. On 21st August they torpedoed and sank a 1500 ton armed steamer in Artaki Bay and on 22nd August sank another steamer off Mudania Pier. On 28th August E2 and E11 successfully bombarded Mudania railway station. 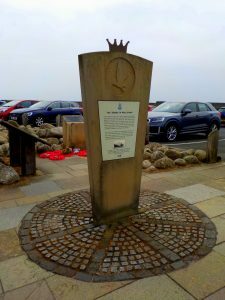 One man’s bravery led to the loss of his life and the previous damage to the boat meant oil leaked into the drinking water so the crew were deprived of their fresh water supply, but they resolutely fought on. Finally the crew found safety with the rest of the patrol. 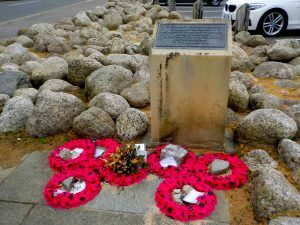 They had faced sustained enemy attack, but showed resilience, bravery and great courage in the face of immense danger. The Allied submarine campaign in the Dardenelles was the one significant success of the Gallipoli Campaign, forcing the Ottoman Empire to abandon the Sea of Marmara as their main transport route. Daily Sketch – Manchester Edition Monday October 25th 1915: Pg 8. Sto. P.O. Percy Walter Adams, O.N.306739 (Ch.). The D.S.M. 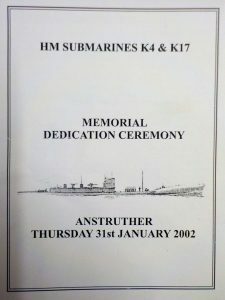 was an award for bravery whilst on active service at sea for Royal Navy personnel, members of the other Services and other Commonwealth countries who held rank up to and including Chief Petty Officer. Percy was promoted to Stoker Petty Officer and went on to join HMS Submarine K4 alongside Commander de Beauvoir Stocks. Telegram sent to his wife asking that details be kept secret from the Enemy. 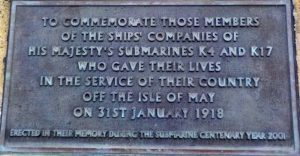 The wreck of HM Submarine K4 is designated as a protected place under the Protection of Military Remains Act 1986. His family were, and always will be, immensely proud of him.